Sometime in the 1990s, the actual date of which I’m not very clear of, the trains stopped running. The train tracks were left abandoned, unused, forgotten by most people, save for the ones who have once seen and heard those trains chugging down the tracks. 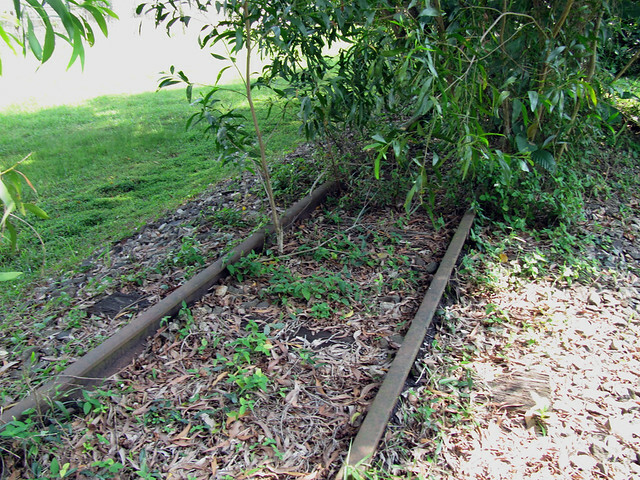 And now, in 2011, trees have grown directly on the train tracks, up to 3 metres high, obscuring most parts of the metal rails that still line the grassland. These train tracks, lie there, forever only part of a memory; my memory. At the end of this year, however, my childhood memory of this place will forever disappear as an access road will take its place. As strangely sentimental as this may sound, especially since I moved out of that house that overlooked those railway tracks more than a decade ago, I truly wish that they would remain there, even in its rotten state. 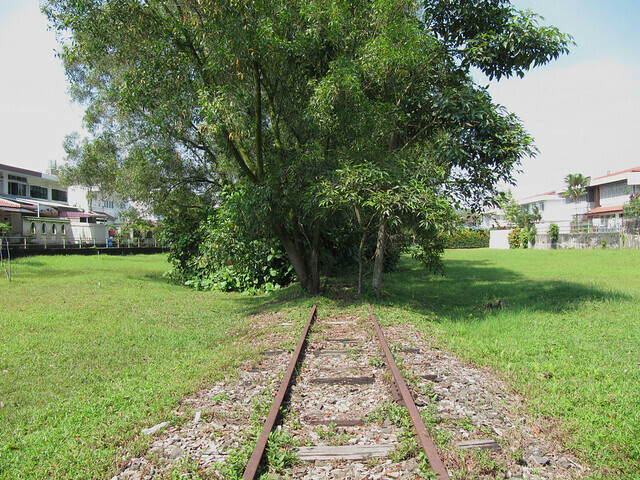 I wish that these tracks, part of the Jurong Line that once delivered goods to and from the Jurong Industrial area, will go down as one of the untouched elements of my nation’s history, which in these days, are becoming increasingly rare. Members of the Faber Hills estate, where these very train tracks pass through, have for more than a decade fought to have an additional access road built for easier entry and exit. 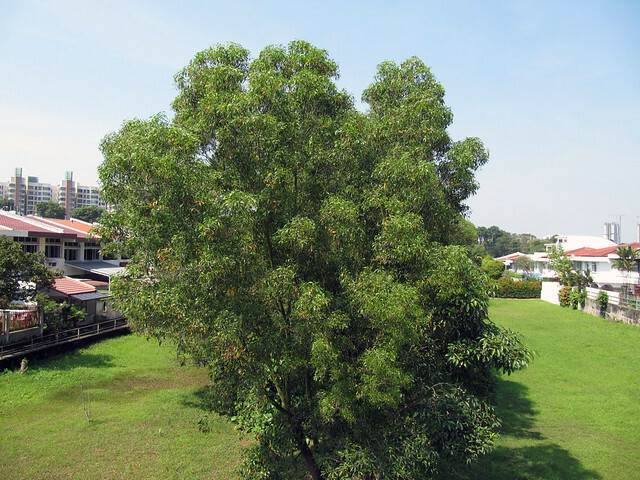 However, when news of this new access road, which will run from Faber Walk (next to the Ayer Rajah Expressway) to Commonwealth Avenue West, was announced, the residents were not happy as it did not alleviate the existing traffic problems. Instead, this road would be practically useless as few residents would be likely to use it. After investigations and meetings, it was realised that the road was built to make the land next to the estate more valuable, and was not built to serve the current residents of the estate. This development, also puts the “Green Corridor” project at risk. 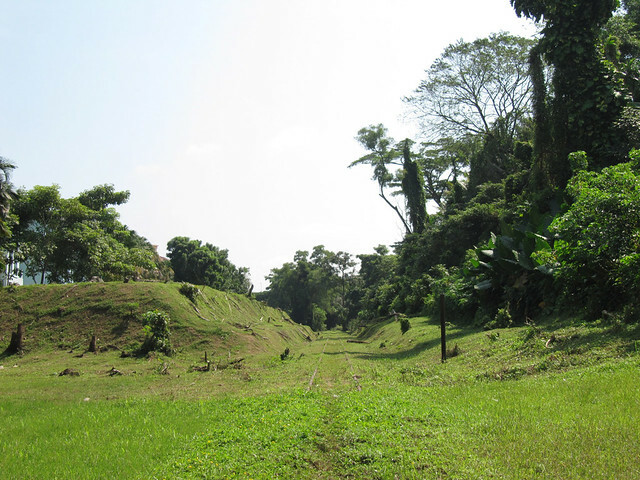 The “Green Corridor” project is a proposal by the Nature Society (Singapore) (NSS) to convert the abandoned Jurong Line and the soon-to-be disused Woodlands line into “Green Corridors”. These “Green Corridors” will serve as recreational spaces and scenic hikes for Singaporeans, while maintaining pieces of our heritage. With this new access road, a portion of the Jurong line will be removed, along with a portion of this proposed project. Two Sundays ago I took a walk down this portion of the railways tracks, trying to capture as much of it on camera, through which attempting to retain this part of my childhood . The announcement on the LTA website says that work on the roads would start in September 2010, but as of that Sunday, I did not see any huge progress, save for a whole area of chopped trees. Who knows how much will have changed the next time I take this same walk again. Perhaps by then, this whole portion of the railway would already be dismantled. Or perhaps, the tracks will still be there, waiting for someone, or some machine to dig it up. But whatever the progress will be, I know that along with every piece of the railway tracks dug up and removed, a piece of my childhood, and this country’s heritage, goes too. I learnt from my friends Ivan and Geng Hui that less than a week after I made this walk, some part of this track had already been dismantled.